This Spectacular Healdsburg Vineyard Estate Parcel is located off a quaint country lane. This is a special and beautiful setting overlooking Chalk Hill with gorgeous views. Heritage oaks grace this flat to gentle rolling to steep parcel. 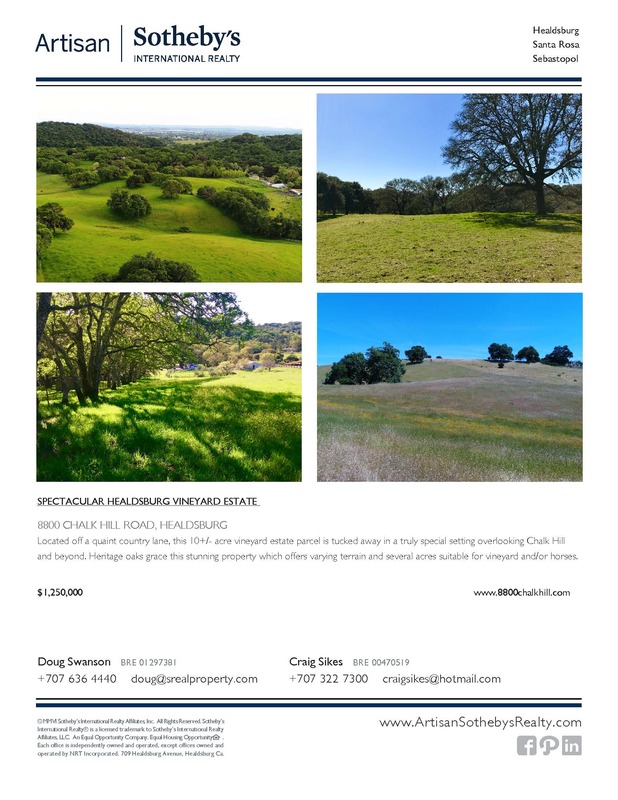 Several acres suitable for vineyard and or horses. A 4 bedroom septic design is available. A new well drilling permit is on file and will be drilled by the seller, weather permitting. 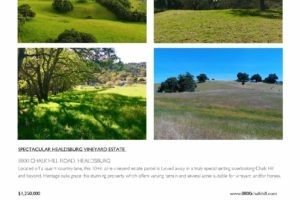 There are two fabulous building sites to choose from on this property, one with large views and the other with a more intimate nestled setting. 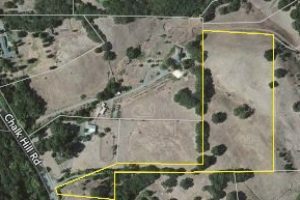 For someone looking to build their wine country get-away dream, this is a good property to come see!